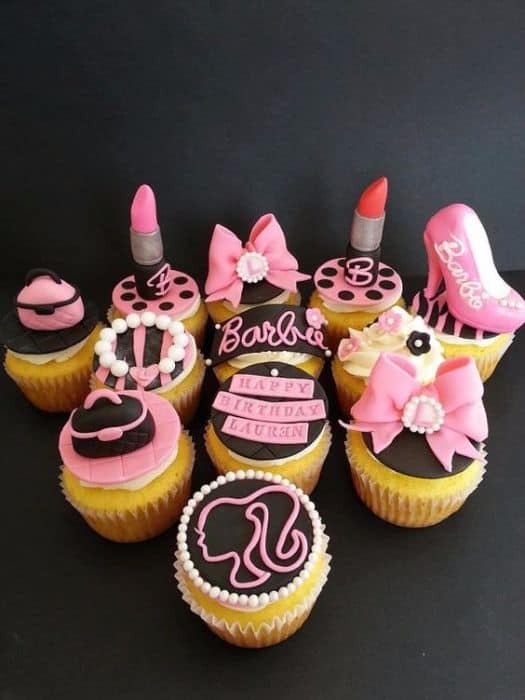 Though Barbie herself has almost reached the age of 60, her hold on little girls who love to dress her up, brush her hair, and live one of her many prestigious careers, with little more than a few accessories and an imagination, has not dwindled over the years. And despite all of the princesses that have come and gone, Barbie is still a favorite, not just as a toy, but as a whole theme for a little girl’s party. 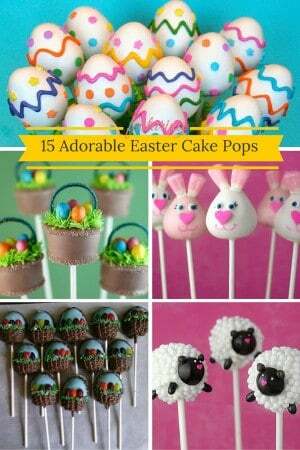 The following cupcake designs could bring that special day to a whole new level. 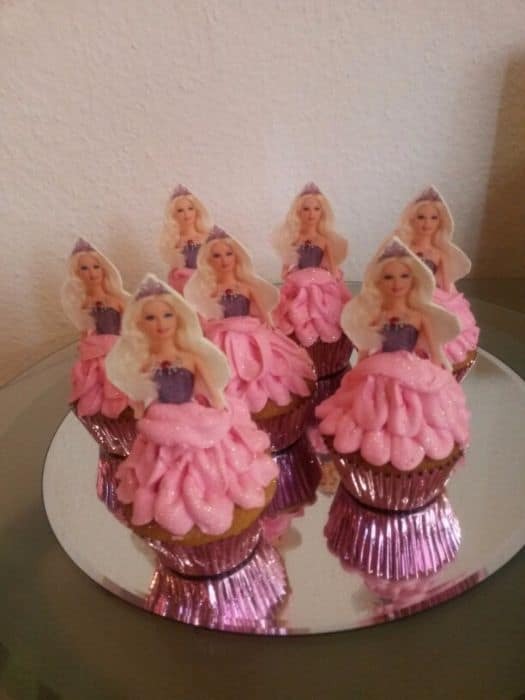 These adorable toppers are embedded in sparkling pink icing skirts, complete with matching shiny pink muffin cups to turn a simple treat into a dessert fit for a princess. 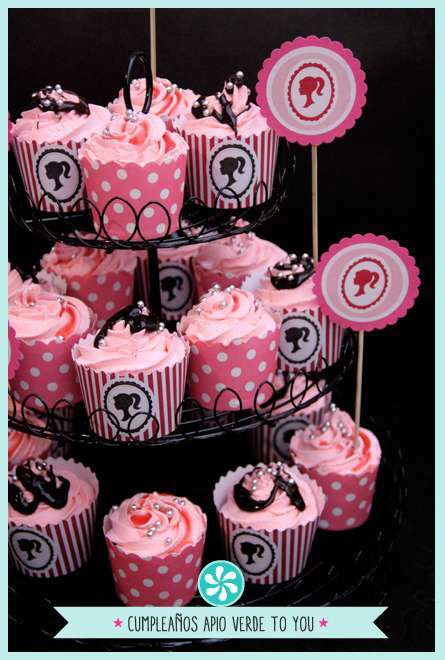 Thick swirls of pink icing dotted with small white sprinkles are pretty on their own, but to fit a Barbie themed party, just add a cute candy Barbie emblem on the top. 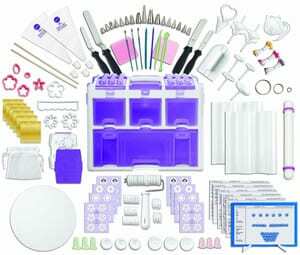 These edible toppers are made of fondant, and styled in all the accessories a girl needs for a party, including purse, jewelry, shoes, and lipstick. 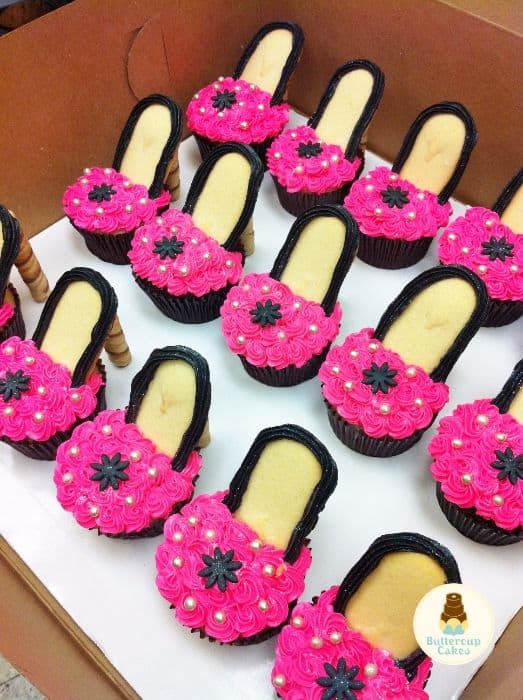 These fabulous heels have pretty rose icing toes accessorized with pearl and flower candy sprinkles, cookie insoles wreathed in sparkly icing, and a cream-filled wafer heel. 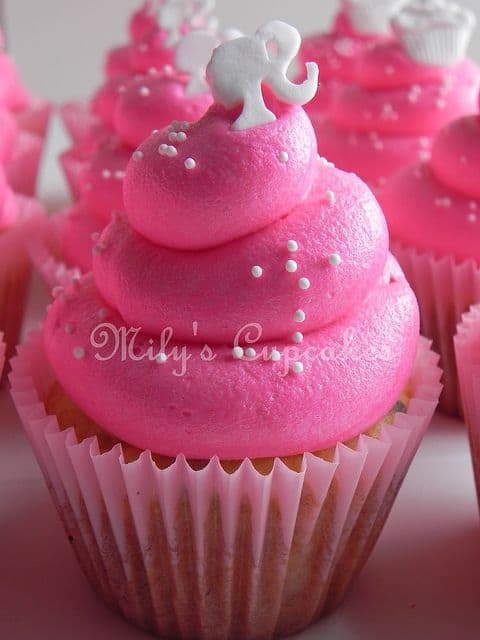 Pretty cupcakes lose something when served in a plain liner, which is why these little treats will be the talk of the school when served in these pretty pink and white Barbie liners. 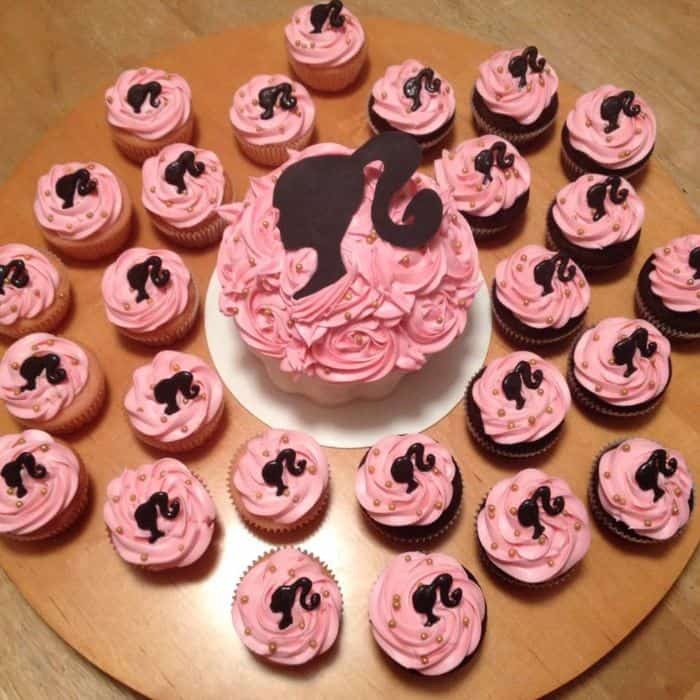 For the mom with no time to make homemade toppers, these tasty fondant treats can be professionally made, and customized for the birthday girl in question. 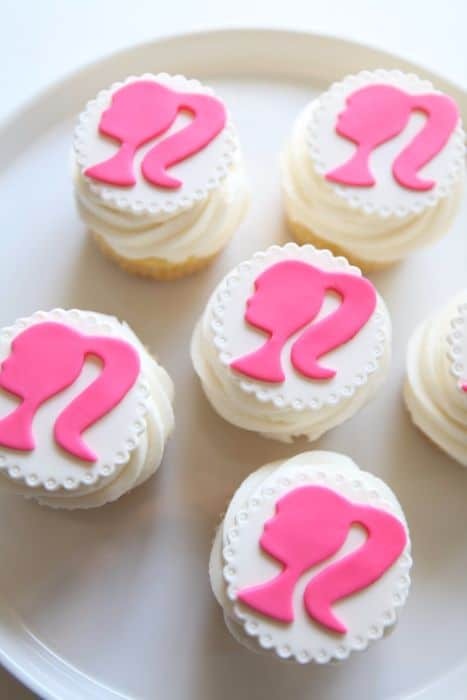 These pretty pink fondant silhouettes rest on a white scalloped base, for a touch of elegance any young lady will appreciate. 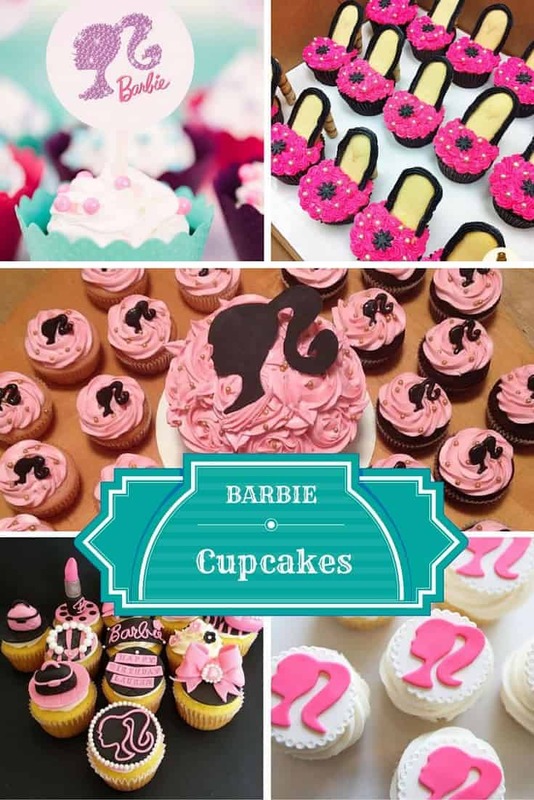 These gorgeous strawberry cupcakes are frosted with purple buttercream, and decorated with fondant Barbie silhouettes, logos, and pretty pink crowns decorated with purple sprinkle jewels. 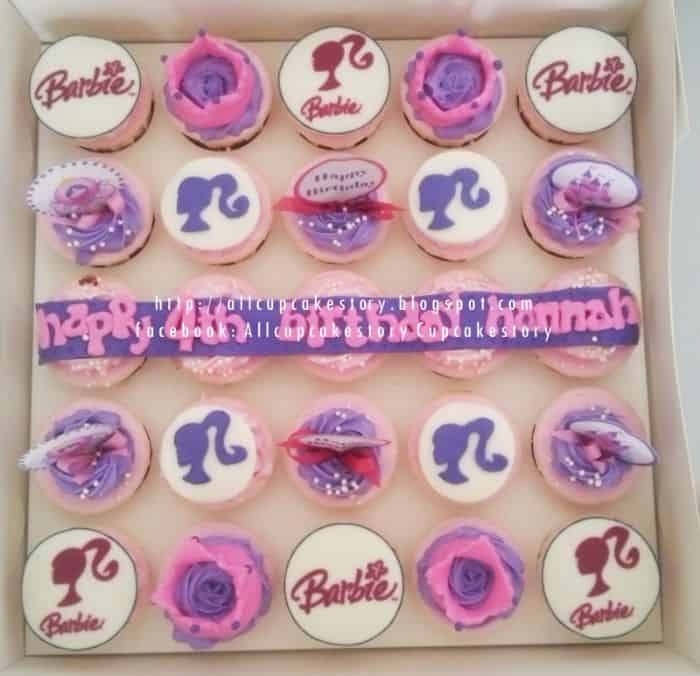 An array of chocolate and vanilla cupcakes looks lovely, especially when iced with swirls of pink, dotted with matching shiny sprinkles, and embedded with a perfect Barbie emblem in chocolate. 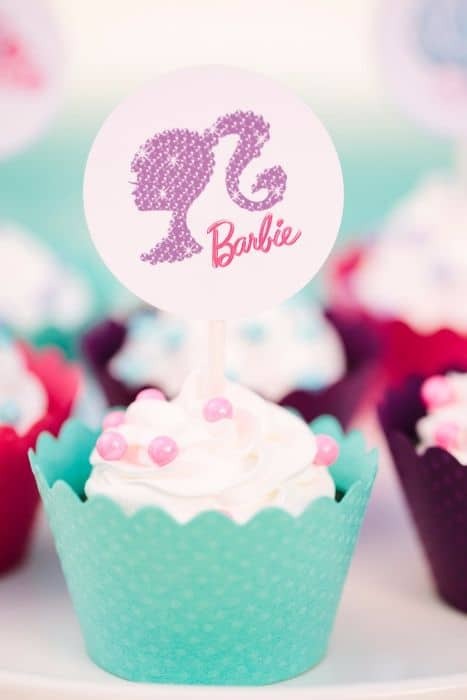 These liners come in pink, purple and aqua, and hold tasty cupcakes embedded with pretty pink pearls, topped with a shining Barbie silhouette, the perfect treat to fit into a pool themed party for that special little princess. Birthdays come and go, and sometimes it’s hard to remember the details of each one. 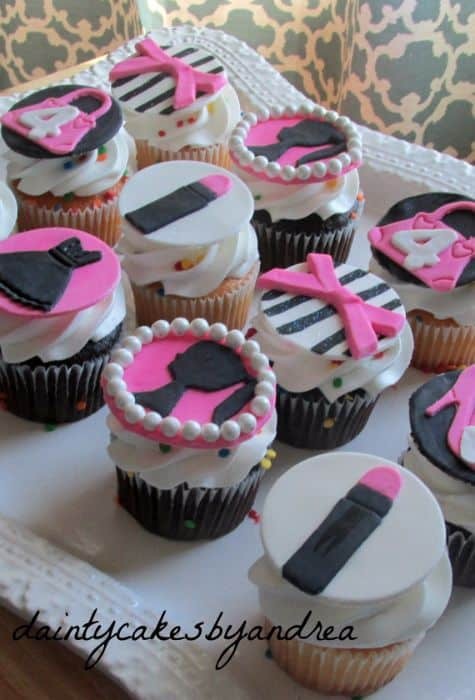 But a little girl who has her day in style will remember it long after the party ends, and there is no theme more stylish than Barbie. This fabulous lady doll will be helping girls celebrate for years to come.